In 2000, the Royal Australian Mint issues a commemorative 50c piece for the millennium. The reverse design showed an Australian flag with the phrase MILLENNIUM YEAR and 50 CENTS. 16,630,000 of the coins were issued for circulation. 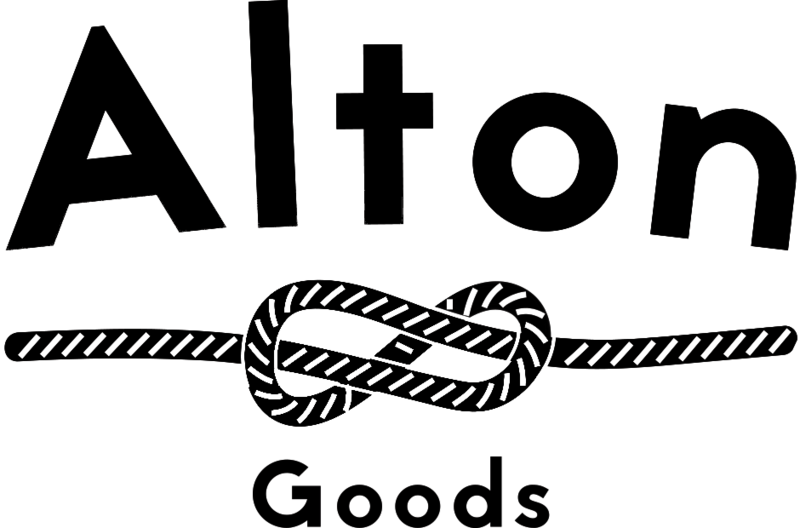 At some point in 2006 it was noticed by Drew Jackson that there were two varieties of the reverse design. One type has a raised St George's cross and the other type has a recessed St George's cross (p14, McConelly, The Coin Seriously Lacking? in Australasian Coin and Banknote Magazine, June 2006). It was soon apparent that the recessed flag coins, more commonly known as the 'incused flag' were much less common. The Royal Australian Mint advised that approximately 200,000 of this variety were struck (p143, McDonald, Pocket Guide to Australian Coins and Banknotes, 2017). It was probably the output of a single die and the approximate mintage was probably based on the average output of a single 50c reverse die. The true rarity will probably never be known but an analysis of examples in circulation shows that the given approximate figure of 200,000 coins is reasonable: in a sample of 212 2000 millennium 50c pieces, 0.94% of the coins had the incused flag. The would suggest around 157,000 incused flag 50c pieces were struck and released into circulation, making it by far Australia's rarest circulation 50c piece. No incused flag coins are known in mint sets so most examples are at best lightly circulated. 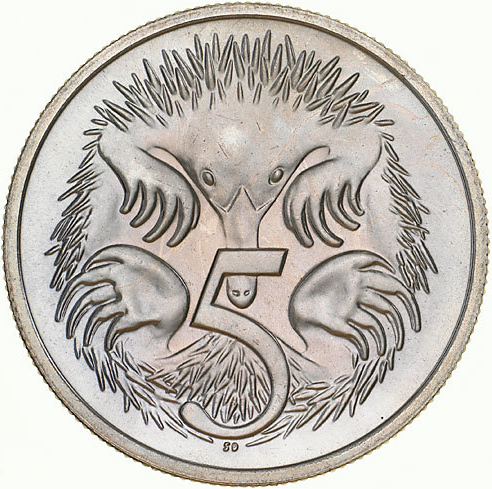 The position of the echnida on Australia's 5c piece has moved with respect to the top and bottom rims on a number of occasions since the introduction of the design in 1966. In 1984 the then in-use high echidna reverse began to be phased out in favour of a new low echinda reverse. The reason in unknown but it has been suggested that a new master die was bought into use (Andrews, http://www.thesandpit.net/index.php?option=five_cent_different_echidnas). The difference is easy to spot by looking at the distance between the designer's initials SD and the rim, though on some coins the rim is quite tapered and the SD appears further from the rim than it really is. The new low echidna is somewhat scarce in the 1984 mintage and so was probably introduced later in the year. No circulating 5c pieces were produced in 1985 or 1986 but both high and low echinda coins are known in 1986 mint sets with the the low echinda now being more common. High echnida coins are also known in 1987 but are rare and are probably the result of a single die. The 1987 high echinda 5c piece is probably the rarest circulating 5c piece. While a 1985 low echinda would be expected, none have ever been reported or found. It is possible that the production of 1985 mint sets was completed before the new reverse was introduced. At least in recent times, mint sets have been released in November or December of the previous year so mint set production occurring before the introduction of the new reverse is not unlikely. Or it may simply be that the reverse dies used to produce the 1985 mint sets all happened to be high echidna. In any case, the 1985 low echinda 5c piece probably does not exist. In mid-October 2018 Australian coin collectors began to notice 2019-dated one dollar coins in their change: besides the unexpected year, the standard mob of roos reverse also bore an extra 35 between two of the kangaroos and a privy-mark with one of the letters A, U and S. There was early speculation that the Royal Australian Mint had accidentally released some non-circulating coins into circulation both due to the early appearance of 2019-dated coins and the fact that privy-marks had only been seen on non-circulating coins until that point. The Royal Australian Mint were quick to affirm that the release of the coins was no accident and that their purpose would be revealed soon (Chung, https://finance.nine.com.au/2018/10/16/14/23/time-travelling-coin). On November 1st 2018 the Royal Australian Mint revealed that the one million of each of the privy-marked coins had been released as part of a competition in the lead-up to the 35th anniversary of Australia’s one dollar coin. To encourage coin collecting, people who found each of the coins in their change were eligible to enter the Dollar Discovery competition at https://dollardiscovery.com.au/ with eight major prizes of a tour of the Royal Australian Mint and a 1 kilogram silver coin. Although the Royal Australian Mint’s website records 1992 mob of roos one dollar coins as having been struck for circulation (https://www.ramint.gov.au/one-dollar) it is almost certainly in error. No 1992 one dollar coins were issued for circulation at all: a one dollar coin commemorating the 1992 Barcelona Olympic Games was struck only for mint and proof sets in 1992 and it was intended to be the only one dollar design for that year. The Royal Australian Mint’s website states that 0.008 million (8,000) mob of roos dollars dated 1992 were produced for circulation but this is a transcription of a likely erroneous entry in the 1992 Royal Australian Mint Annual Report. It is widely believed that the 8,000 one dollar coins in question were actually dated 1984 and 1985 and were retrospectively produced in 1992 for a set of five one dollar coins containing 1984, 1985, 1986, 1988 and 1992 one dollar coins. The complete lack of any reported 1992 mob of roos dollar from circulation helps to confirm that the website is in in error and that no such coin exists. In recent years the existence of a proof 1992 mob of roos dollar has come to light. An example sold in Downies auction 310 as lot 2493 in February 2012 (https://issuu.com/downies/docs/auction_310_session_6) and was described as “One Dollar 1992 with Mob of ‘Roos reverse struck on a partially prepared proof blank, As Struck and extremely rare”. Curiously the lot was not illustrated but it sold for $1000 against its $750 estimate regardless. The circumstances of its production remain unclear but it seems probable that it was an unauthorised production by creative mint staff given that it was struck on a partially-prepared planchet.